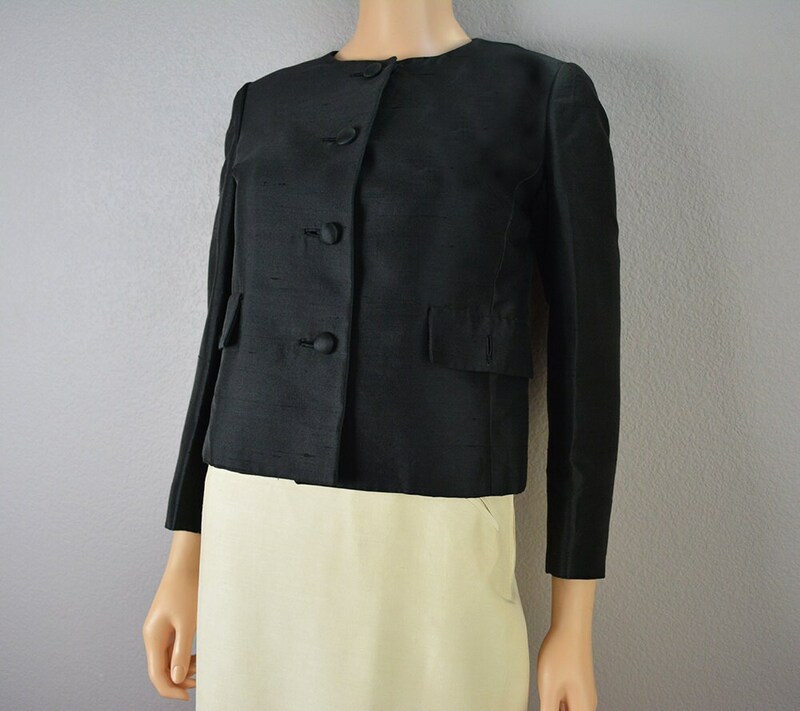 Stunning 50s black blazer for sale. 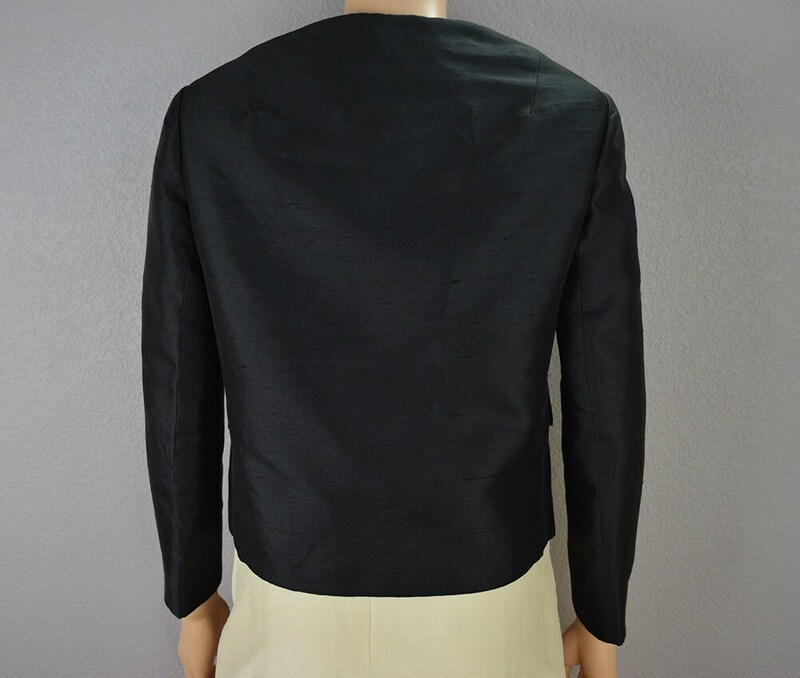 This jacket is in absolutely beautiful vintage condition. 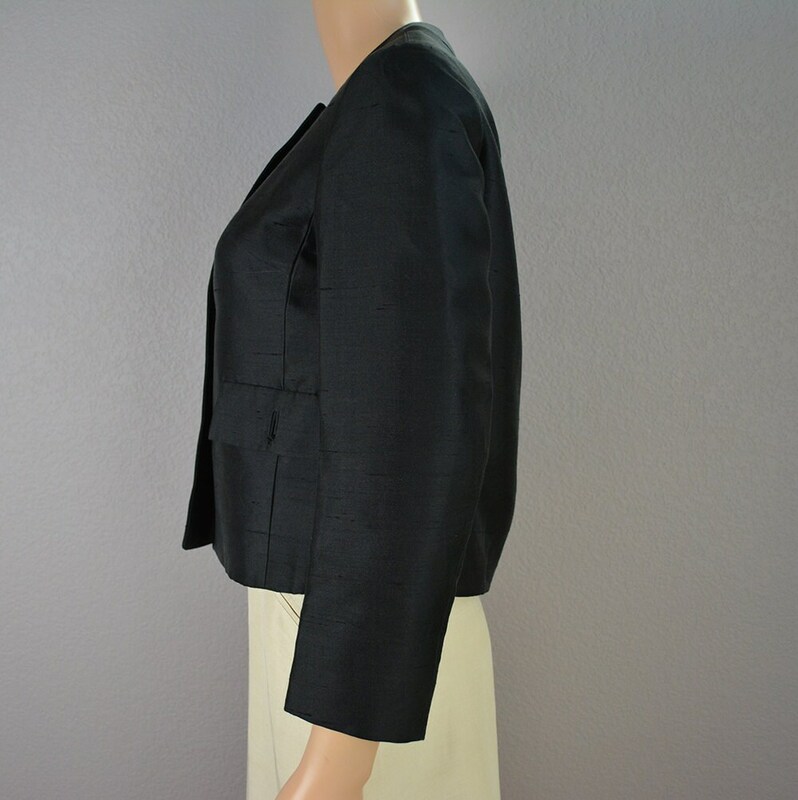 This is a round neck jacket with a somewhat boxy cut. It looks great both open or buttoned. The material has a nice bit of sheen to it. It is very well constructed, and it is fully lined. There are faux pockets in the front. The sleeves are slightly cropped. This piece is a 50s gem! Size: 8, but it looks like it runs a bit small. I'd say its a modern 6. Please review the measurements to ensure fit.